Often we derive secret pleasure when informing people who label shamanism a “new age fad” that shamanism is 35,000 to 40,000 years old, maybe older, more ancient than the world’s “major religions,” dating back to the Ice Age, and perhaps even farther. It feels good to say things like this. But then comes the inevitable question: How does one become a shaman? Throughout the centuries there have been many ways to become a shaman, even though there are teachings, ordeals, trials, and tests that are common to many of them. Usually we answer with the classic ways shamans are “called,” and we might even sketch out our own path that led to the world of the shaman. What we don’t know, and can’t answer of course, is how those Paleolithic shamans were called or trained, or even what exactly being a shaman meant for them. And most likely we never will. But we can imagine it. Based on archeologists’ and paleoanthropologists’ interpretations of cave art, grave goods, carved statues, jewelry, early tools and other artifacts, we get glimpses of the world paleo-shamans lived in. But we can only “know” how early people lived through the imagination: imagining their lives based on anthropologists’ interpretations of artifacts. As Genevieve von Petzinger explains in The First Signs: Unlocking the Mysteries of the World’s Oldest Symbols (2016), “. . . paleoanthropologists have to be fairly flexible and open-minded about our theories, as we just never know when a new discovery or innovative research project could reveal previously unknown possibilities.” (38) The imagined world of ancient people is always being updated. I think we might also take this advice in terms of how we imagine our own shamanic practice. As we meet people who claim to be “doing shamanism” in ways different from our own—maybe even with “new age fad” elements—we might remember that while the core features of shamanism remain rather consistent, there undoubtedly will emerge new ways to manifest them. Shamanism, like the rest of the world, continues to evolve, and perhaps we need to periodically re-imagine it. The picture we derive of life in the Ice Age, then, is based on the anthropologist’s imagination as it interprets evidence that is far from clear or universally agreed upon. That being the case, I’d like to propose that a skilled novelist writing fiction about people 35,000 years ago in southern France or northern Spain could be on par with the interpretations of scientists. Both have to use their imaginations. Both have to interpret sketchy evidence. From the shamanic practitioner’s point of view, a novel about our spiritual ancestors might be more valuable than an archeologist’s dry classifications of Stone Age tools, artifacts, and symbols. I say this because as shamanic artist Katherine Skaggs pointed out at the 2016 SSP Shamanic Immersion Retreat, art is a place where you stand between worlds and heal yourself, whether creating art or viewing it. Art creates a place where your imagination can spin off into other realms of understanding. She says “art triggers an inner voice that says to let go of old theories about life and receive a new one or a renewed one.” She agrees that fiction can be art that operates in this same fashion. So when I read a novel, I am in a place where my imagination can leap off the author’s imagination as I catch the vibrations and spirit of the story. A well written novel about Stone Age shamans allows us to stand between our world and the Paleolithic world and imagine that this story might have been our own. We can think to ourselves and imagine that in this very way, maybe, we might have become shamans. Kim Stanley Robinson is a well respected and much honored science fiction writer. Inspired by the 1991 discovery of an Ice Age traveler frozen in the Alps between Austria and Italy, Robinson realized that the contents of this man’s pack were similar to his own hiking and mountain climbing gear. 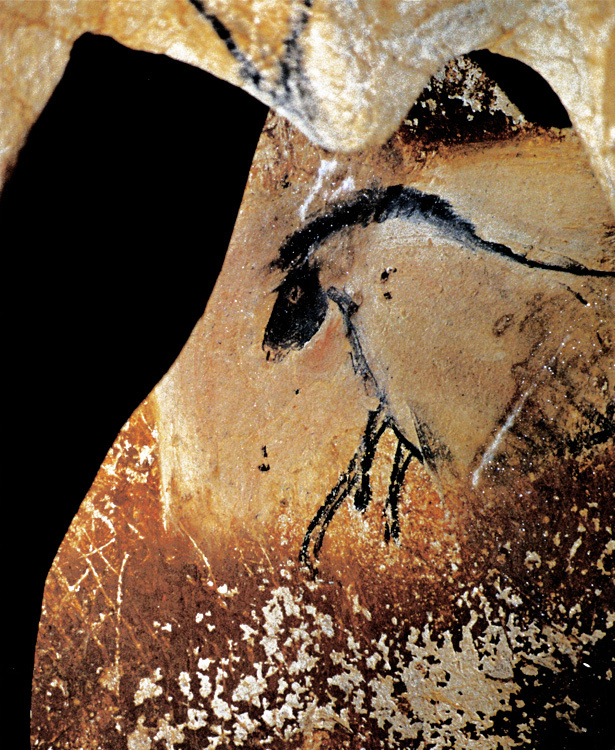 Thus began his intensive research into archeology and anthropology to better understand and write about the world of this 30,000-year-old “back packer.” On seeing Werner Herzog’s documentary Cave of Forgotten Dreams, about the Chauvet cave discovered in 1994 in southern France, Robinson decided to write a novel about the shamans who painted the caves in southwestern Europe. And so in his novel Shaman (2013), he turned his gaze away from futuristic worlds and back to the Ice Age of western Europe, and created a very credible picture of what life might have been like for an adolescent boy, whom he calls Loon, in training with an older shaman named Thorn. Along with Thorn’s teachings, Loon learns much about the world of healing from Heather, an older wise woman and herbalist, sometimes Thorn’s life partner, and the one who seems to hold the tribe together. I’d like to reflect on some of the experiences of shamanic life that Robinson puts into his tale, in order to better imagine how the spirit of the shaman persists through space and time. Of course this is my imagining on top of Robinson’s imagining, which in turn is built upon the imaginings of many archeologists and anthropologists over generations. It is all interpretation. But “something”—like art, like the shaman— does persist through space and time, and it does our souls good to try to catch it. It helps to remember that “the shaman” has evolved over the centuries, even while something basic to a shaman’s life remains the same. Certainly any given culture in which a shaman lives will evolve, even the cultures of present-day indigenous people. None are still living exactly as they did in the Ice Age, or maybe even several hundred years ago. Indigenous people and their cultures are not frozen in some kind of museum display. While we consider what life might have been like for Stone Age shamans, even as we revere this ancient spiritual path, none of us would want to still be living as they did. So Robinson’s story about Loon and the “pack” he lives in (about 40-45 people) paints a picture of shamanic life for a young boy, orphaned and living with a cantankerous older shaman who trains him, often against his will, to become the pack’s next shaman. As we consider Loon’s experiences as well as our own knowledge of shamanism, we can imagine how the life of a shaman has changed or stayed the same over thousands of years. Loon sets out alone on his “wander” in the wild—two weeks from new moon to full moon without clothes, weapons, or food, except what he could make or find himself. This is one of the trials he undertakes to become a shaman. I doubt many of us could pull this off, and yet shamans in many cultures stress the importance of spending long and frequent periods of solitude in a natural environment, away from the usual distractions of everyday life. Shamanism arises from the earth, just as we have, so even though we live an urban or technologically complex life, we need that solitude and silence to hear the spirits of the earth speaking to us. On the last night of the wander Loon has what we might call a “peak experience,” one that convinces you beyond a doubt that you are alive and have a right to be here. He sees a black horse on a ridge across a valley, rearing on his back legs, throwing his black mane into the air. 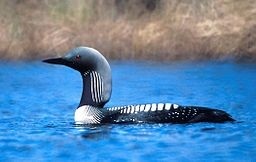 The “god animal” nodded to Loon and he to it. The horse was backlit by the setting sun, the last sunset of his ordeal. As he watched the beauty and power of the horse, he felt that “the world grew to something more immense than he could grasp. . . Would he ever be this alive again, would the world ever again be so beautiful as in this moment?” (61-61) Years later he would paint horses on the wall of a cave to recapture this moment. One day long after his wander, Loon is out with a couple friends, and they spot a little group of bison, “beautiful creatures. . . all moving slowly together. . .the sunlight diving right into their bodies, so that they glowed. . . floated on the snow of the meadow. . . Dream creatures, walking through the waking world.” (403) For Loon and his buddies these are not just physical animals, but spiritual beings that capture the mysterious life of dreams. Later Loon will paint them in the cave, and they will float there, appearing to hang in the air, even as animal spirits float in our own dreams, journeys, and reveries. For Loon and his people, animals are as old as the earth, as old as the caves where they are portrayed in red and black paint. Robinson notes that the animals depicted at the entry of one cave show “the animals returning to the underworld that had birthed them.” (181) One of the mysteries of the past that has always haunted me is how Paleolithic people used the images they painted on subterranean caverns. Why did they paint them? For what reasons did they go into the caves to view them? Anthropologists disagree on this, and even though we may never know, I will probably always relish this not-knowing because it keeps me wondering, keeps me imagining. Robinson offers a solution for this mystery. Thorn’s and Loon’s pack enter these caves, and Thorn places torches in the middle of a room so that when the people dance around, their shadows are thrown up on the walls, “black figures moving over the red animals, who after a while themselves began to move.” (183) Dancing with the animals reminds the people of their kinship with them, a kinship that goes back to “the old time, the time when all the animals were people, and they walked in a dream together.” (429) Even if we don’t dance in caves, we do know the importance of dancing with the animals that befriend us in the spirit world. Later Thorn explains to him how this world connects to the dream world and the spirit world. When I first read this passage I got lost in what Thorn was saying. Maybe I read it too fast. But so often when shamans speak, a kernel of truth or recognition pops out at you, and then pondering it, you begin to understand and see what they are saying, even if you don’t fully comprehend it. 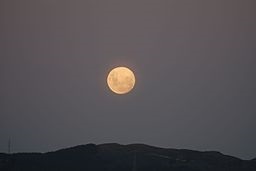 Much later Loon and his friend Moss are out on the land, when a full moon rises and the two boys are enraptured by the beauty all around them. Robinson describes it: “It was Mother Earth at her most beautiful. . . though blanketed by snow, it was in these moony nights that she looked most naked, the bare blue flesh of her hillsides smooth and curvaceous. . .Nothing moved, no wind, no sound. It was like a spirit world, a world beyond the sky, where the stillness quivered with a mystery.” Robinson says that the two friends often slipped out on moonlit nights to see this mystery, ever since they were little boys. Of all the pack, “Loon and Moss were the two who liked it most.” (223) And so like many of us, these boys began to experience the mystery, maybe even the call of shamanism while they were still children. Loon also disliked learning all the stories a shaman must learn about the people, their customs, the stories of where they came from. In short he did not want to be a shaman. “It was too intense, too lonely, to scary, too hard,” he thought. (46) But Thorn teaches Loon how to carve animals out of wood and paint pieces of slate, and he loved these activities. He also enjoyed playing his flute. Although Loon never expresses it quite this way, we might say that he loved the creative, artistic role of being a shaman. He learned slowly that to be a shaman is to be a creator and interpreter of beauty. Later he wants “to go into the cave by himself, to paint something new” (426) and he realizes his wander’s great moment. It was when the horse, the god-animal, had seen him and reared. “And suddenly in the sunset light it had become clear that everything meant something he could not catch, something so big that it couldn’t be said, couldn’t be felt. Something big that they were all caught up in together. It had taken his breath away then, and it did again as he remembered it.” (434) It was recalling that great moment on his wander when “some part of Loon had been born. . .when he had realized the world was stuffed with a meaning he couldn’t express.” But later, as a shaman painting the cave wall, he understands that “Right here he would express what could not be expressed, for all to see.” (438, my emphasis) He was a shaman who brings something new into the world, and like many of us, our shamanic practice gives us a sense that there is great meaning and purpose in the universe, even if we can’t express it or find it. Although Loon feels that his shamanic skills are slim beyond painting the cave and playing the flute, Robinson suggests throughout the novel that there is some kind of guardian spirit who watches and steps in and saves one when there seems to be little hope. He calls it the Third Wind, and it will accompany Loon into the future just as it has periodically throughout the story: on Loon’s wander, when he is a captive in a northern pack that has kidnapped his wife, Elga, and at other times when he is in need or lacks confidence. In a wonderfully ingenious way Robinson makes the Third Wind an often silent presence in the tale, an invisible storyteller that Robinson seems to be channeling from the Paleolithic era, but a spirit that persists through time and that shamans in our own era would know perhaps under different names. Whoever or whatever the Third Wind is, Robinson has a keen sense of that early era when humans were beginning to make western Europe their home and begin a way of life that would evolve into our own time and our own ways of living. This is a remarkable novel that will appeal to people who walk the ways of the shaman and wonder about those ancient ancestors who also walked this path, painted the caves, and trusted in the Third Wind. Robinson has given us a valuable gift. He has written an engrossing and stimulating novel about a far distant past we will probably never know, nor experience. But he has helped us imagine it. 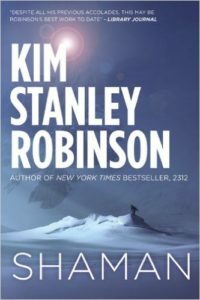 Robinson, Kim Stanley. Shaman. New York, N.Y.: Orbit: 2013. 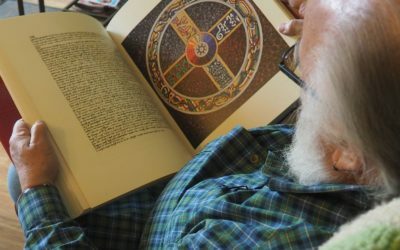 Tom Cowan is a shamanic practitioner specializing in Celtic visionary and healing techniques. 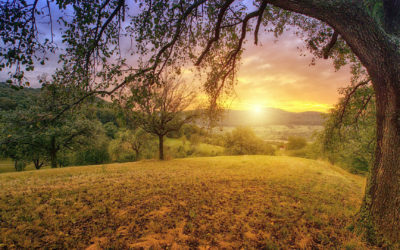 He combines universal core shamanism with traditional European spirit lore to create spiritual practices that can heal and enrich one’s own life and the lives of others. 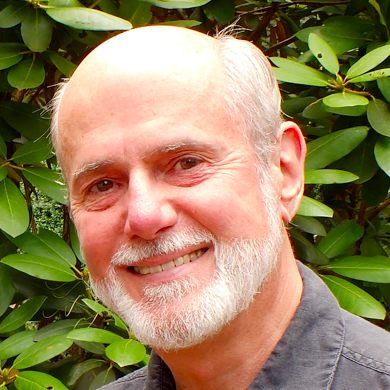 He is an internationally respected teacher, author, lecturer, and tour leader. He has taught training programs in England, Austria, Germany, Switzerland, Slovakia and Italy. Tom received a doctorate in history from St. Louis University. 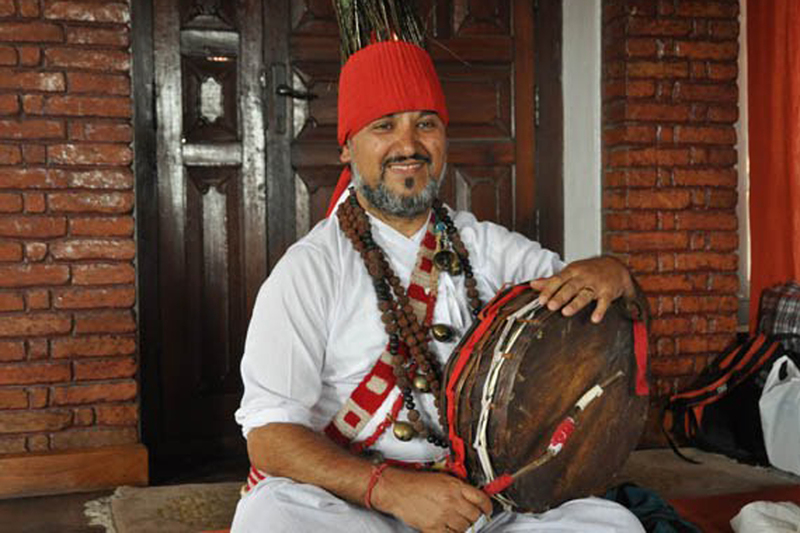 He has studied extensively with and taught for the Foundation for Shamanic Studies.